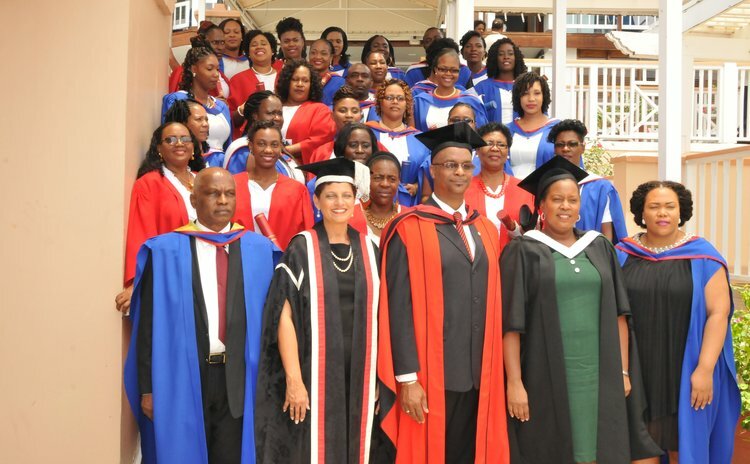 Pro-Vice Chancellor and Principal of the University of the West Indies Open Campus Dr Luz Longsworth has called for an increase in the number students enrolled in tertiary education. She made this call at the university's graduation ceremony at the Fort Young Hotel on April 13. At the ceremony Dr Longsworth said that in her meeting with Dominica's Minister of Education she expressed the campus' commitment in working with the government, private sector and civil society to ensure that Dominica's enrolment rate in higher education increases rapidly. "We have a far way to go increase the number of persons in tertiary education," she said. She noted that the university is currently working on strengthening partnerships with other institutions in the region. "The UWI has indicated very clearly it willingness to partner with the community colleges to extend the possibility of community colleges becoming colleges of the University of the West Indies and being able to also offer full UWI programmes," said Dr Longsworth. She said that the university has realized that in order to get the countries of the Caribbean out of the economic recession the nations must join hands. Dr Longsworth said that by keeping this in mind she would like to encourage funding agencies to support students of the Open Campus who wish to study in a non-traditional way. "Our students who work and study are contributing to tremendously to this development of their countries and are more likely to remain in the country than the students that we send out," said Dr Longsworth. Dr Longsworth said that currently at the Open Campus Dominica site there are over 300 students pursuing degrees online and 400 students in short courses. "This is not an easy way to study and we understand the difficulties you have had balancing all of the priorities you are facing for that reason we recognize that you need to be honoured," she stated. "It is not enough to celebrate your achievement if you close the door or kick the ladder down once you have climbed it. It is very important that each of you take on some personal commitment we need to ensure that you bring others from your communities and your families into education," she said. She urged the graduates to join the alumni association and form a scholarship fund for students from the open campus Dominica site. "I challenge you to give to this fund because every little will build towards helping someone. I would like to see a robust fund that is really contributed by the persons who have benefitted from education," said Dr Longsworth.